For many marketers, the process of creating and uploading multiple split tests with tracking fully configured is a tedious, error prone activity that can't be escaped. How much do you look forward to writing headlines, ad copy, uploading images over and over again, as you work away at getting them all uploaded to your ad networks. There has to be a better way. Instead of wasting hours manually building ads, what if there was a way to rapidly create all your ads once, and then automatically upload them in seconds to your traffic sources such as Facebook, Google Ads, Bing, Twitter or Snapchat? 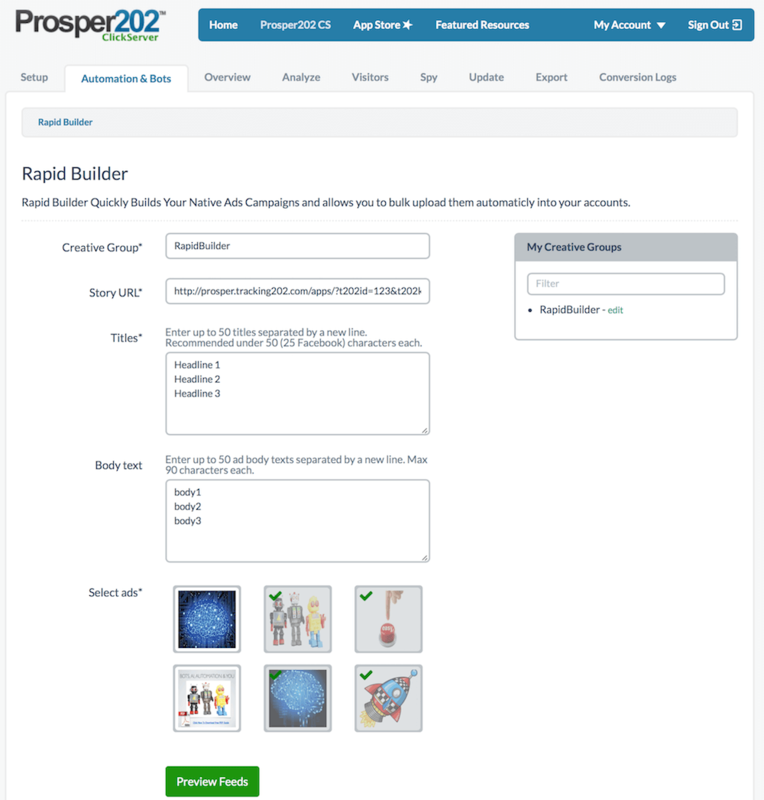 With the new Prosper202 Pro Premium Edition, you'll rapidly scale up your ad campaigns while eliminating one of your biggest bottle necks in your day to day activities. You'll instantly create hundreds or thousands of ad variations for testing and discover the best performing combination. 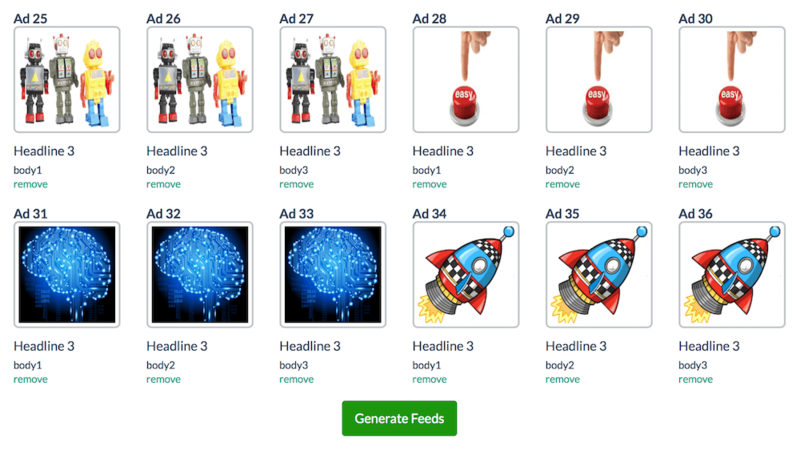 If you setup 5 Headlines, 5 images and 5 body texts you will have 125 different ad variations for testing.